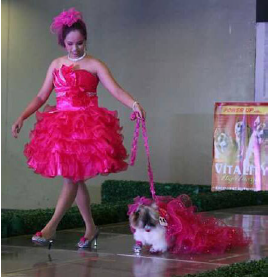 Pet fashionistas recently enjoyed a day of fun and glamour at the GrandPAWsh couture event at SM Taytay. Organizer Doodles Paw Couture’s Bernie Alfonso also gave a talk on responsible pet clothing, while Doc Jomar of Ask a Vet discussed responsible pet care. Participants also got to enjoy giveaways, raffles, and games such as a dog race and a kiss-off challenge. The highlight was the fabulous couture ensemble of pets showcased on the runway together with equally well-dressed human fashionistas. 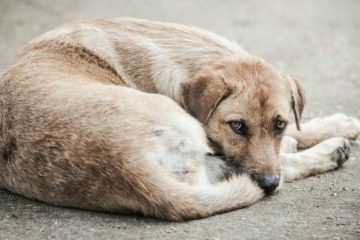 Cats and dogs vied for the twelve titles at stake. 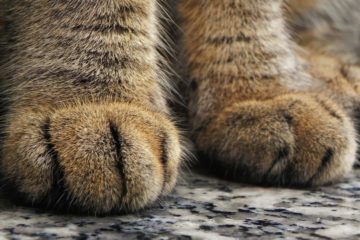 The major winners were: Overall Champion: Tinkerbelle (and owner Karen Bernards), with the first and second runners-up for the Overall category being Chloe and Azura, respectively. This appeared without a byline as “Posh Pets” in Animal Scene’s October 2015 issue.